There is enough evidence to prove that consuming alcohol in excess is harmful to the body. 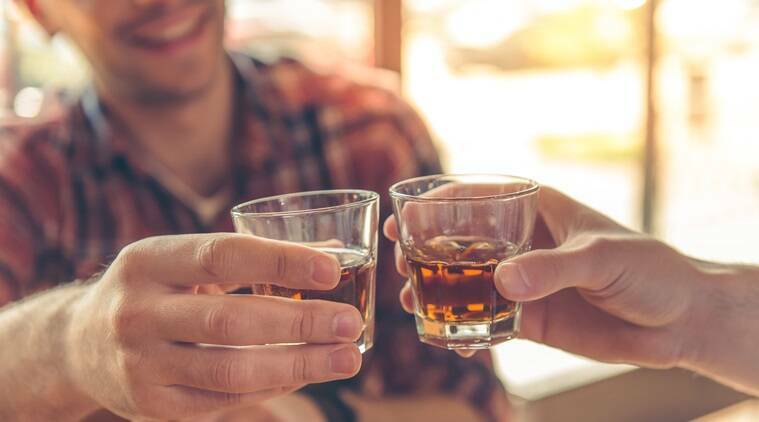 However, a new study by researchers based in the UK and China have concluded that even light-to-moderate drinking can increase the risk of stroke. In order to arrive at the conclusion, the researchers examined 500,000 Chinese people for a period of over 10 years. The study, which has been quoted in a report in BBC, states that regular consumption of alcohol must be limited and the results of the study is applicable to all population. Researchers from the University of Peking, Oxford University and the Chinese Academy of Medical Sciences, deduced that one or two drink every day increases stroke risk by up to 10 to 15 per cent. If one has four drinks, then the risk of having a stroke increases by 35 per cent. For the purpose of the study, one drink drink was defined either as a small glass of wine, a single measure of spirits or a bottle of beer. David Spiegelhalter, professor at the University of Cambridge, stated that for every half a bottle of wine drunk every day, the total risk of stroke increases by 38 per cent. “It is very roughly the opposite effect of taking a statin”, which are drugs prescribed by doctors to help lower cholesterol levels in the blood and prevent heart attacks and strokes,” he is quoted as saying.